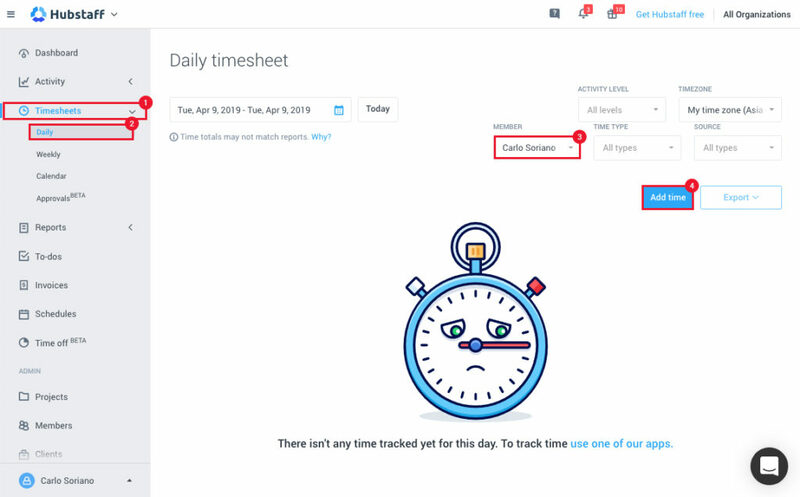 You can manually add time to a specific to-do by going to the Daily, Weekly or Calendar Timesheets page. In this example, we’ll add time on the Daily timesheets. Click on Timesheets -> Daily on the sidebar, then simply filter to the specific user and click the Add Time button as seen below. Next you need to add a timelog. After you click the add time button, a modal box will have appeared. This is where you will add your time entries. You must first choose the project where the to-do belongs and then choose the to-do itself in the 2nd box. You can then go ahead and add your time by choosing the start and stop time of the time entry. 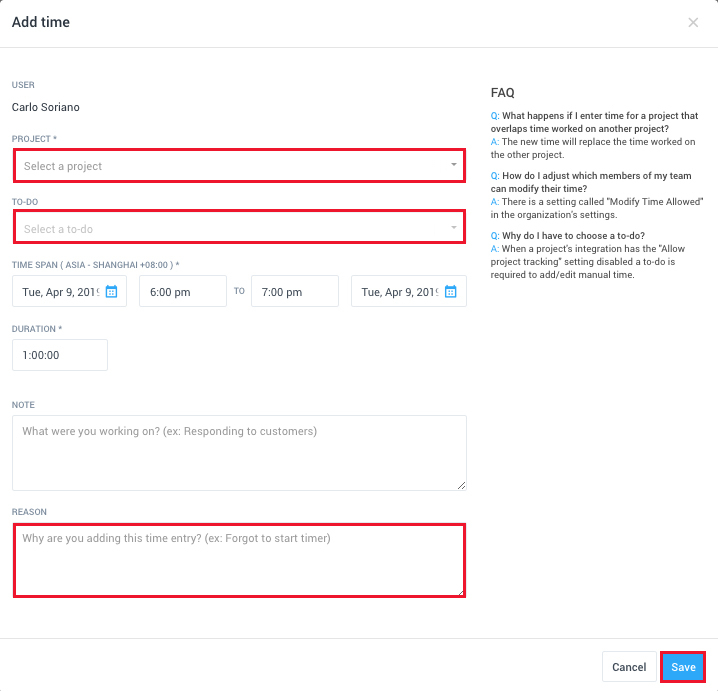 Lastly, you should provide the reason why you are adding time (this is required, but if you own the organization it can be changed to not be required). To learn more about setting up to-dos in Hubstaff click here. A: No. Hubstaff will only allow you to work on one project during the same 10 minute interval. A: There is a setting called Modify Time in the settings of your main organization. You can adjust these settings there.